Here is a list of common questions about this website. Q - What is this site about? This site is designed to save you years of time and thousands of dollars in class fees by making deep instruction of the internal Chinese martial arts available to you without having to wait until a teacher decides when you should learn something. You get instruction from basic to advanced skills, and you get it all the moment you join. Internal Fighting Arts is a membership website where Ken Gullette teaches Chen Taijiquan, Xingyiquan, Baguazhang, Qigong and other skills in Chinese martial arts through streaming video that is available 24/7 on smartphones, tablets, laptops and desktop computers. Anywhere you go, you can study and improve your insight and skill in these arts. Body Mechanics that will take your internal movement to a higher level. Authentic empty-hand forms in Taiji, Xingyi and Bagua. Weapons forms in all three arts including staff, straight sword, broadsword, spear and elk horn knives. Plus how to use each weapon in combat. Self-defense techniques for virtually every movement in each of the arts. Joint-locks, sweeps and takedowns, from basic to advanced. Push Hands and close-up self-defense skills that will help you become sensitive to an opponent's force and take him down. Qigong that will help you ease stress and live a more balanced life. Sparring techniques that can be used in tournament competition or on the street. Members who join get two weeks free to try it out, and if they continue, they pay a monthly fee of $19.99. There are no contracts. Cancel at any time. Ken is always available if you have questions about training, about techniques, or about your account. He is available by text, Messenger, email or phone. Your first two weeks are free to see if you like it. If you decide to stay on the site, the cost is only $19.99 per month but you can cancel anytime. You get access to the entire site and all videos and pdf documents during your two-week free trial. After two weeks, you will be billed every 30 days as long as you are a member. Payments are handled electronically. Ken's goal is to save you years of time and thousands of dollars in class fees. When you sign up for your two-week trial, you will choose between PayPal or you can pay with a credit card using Stripe, a popular and secure payment processor. The monthly fee is taken every 30 days, starting at the end of your two-week period. If you cancel, payments stop. Q - How do I cancel my membership? 1. If you pay through PayPal, simply go into your PayPal account, find your "recurring" or "subscription" payments, and cancel the one to Internal Fighting Arts. You will have access to the site through the end of your current 30-day period. 2. If you pay with a credit card through Stripe, just log into the Internal Fighting Arts website, click the avatar on the upper right side of the screen, choose "Settings" from the dropdown menu, and that takes you to a page where you can change your password, change your credit card information or cancel your membership. 3. Send Ken an email ([email protected]) and tell him you want to cancel. Q - How do I know that I won't be charged even if I cancel during the Two Week Free Trial? Ken Gullette's reputation is at stake here. The only way you will be charged is if you want to continue on the site longer than two weeks. But here is Ken's guarantee -- even if you forget to cancel and you are charged at the end of the two week trial, all you need to do is send Ken an email and tell him you forgot to cancel and he will make sure you get canceled and he will REFUND the first payment. "I don't want anyone to pay for a membership that they don't want," Ken says. "This is the most honest website I can possibly create. That's why I give the two week trial. It gives new members a chance to explore the site, and if they don't believe they will learn anything, or even if they simply have buyer's remorse, they can cancel." Q - Is information given to me in sections or a little at a time? You receive immediate access to every video Ken has ever made, including video from all of his DVDs and also hundreds of videos that are not yet on DVD. Nothing is held back. You also have immediate access to all the pdf downloads on the site. Q - How do I learn? Is there a curriculum? You can download pdf curriculum guides. Every lesson in each of the arts is arranged in the order you should learn them. Ken is available by email, text or phone if you have questions or if you need advice on what to study next. Ken recommends that every new member begin in the "Internal Strength" section, to familiarize yourself with the body mechanics that form the foundation of Xingyi, Taiji and Bagua. By working through this section and practicing the lessons and exercises in the lessons, you will be better prepared to begin one of the three arts. There is a Curriculum page on the site that outlines the entire curriculum, and there is also a listing of colored sash rankings that Ken awards to students who study in-person. Q - Can I achieve certification in one art; or can I achieve a black sash by studying on this website? It is possible, but Ken wants you to know something. Most online certifications are not worth the paper they are written on. It is difficult for most people to successfully duplicate the body mechanics and subtle movements and stances required in the internal arts. Members who work toward certification have to be willing to schedule one-on-one coaching sessions with Ken via Skype or Facetime to get feedback and corrections. Even students who train personally with Ken and get corrections and instruction in-person can take months to achieve the next sash level. So Ken tries to make it clear that the nature of online training makes it more difficult. Because his reputation is at stake, he does not give away certifications just to earn money. If you get a certification, it means you understand the concepts that are being certified and can perform it satisfactorily. In the end, however, your skill depends on you. When Ken achieved his black sash, he was determined to test his skills in competition against black belts of all styles. He did it, and earned the respect of his peers. And his students did the same. That is the ultimate test of what a certification is worth. On this site, you can be certified in specific areas, such as Internal Strength or even specific concepts such as Xingyi's five fist postures or Bagua basic skills. You can also earn colored sash rank. There are several ways to go if you are interested in certification, and you can talk with Ken about it anytime if you have questions or need guidance. Q - If I buy Ken's DVDs, will I get the same video if I join the site? All of Ken's videos are on this site for members to stream 24/7. All of the video from Ken's DVDs are on the site, and he is constantly making new video lessons for the website in each of the arts. There are hundreds of videos on the site that are not on DVD. Videos appear on the website long before they appear on DVD. Members of the website are also able to buy Ken's DVDs at a discount, with free worldwide shipping included. Q - Why is Ken Gullette qualified to teach me? Ken has studied martial arts since Sept. 20, 1973. He has been teaching since October 1, 1997. He has trained with some of the world's best internal artists, including Chen Xiaowang, Chen Xiaoxing, Chen Huixian, and other members of the Chen family. Ken has won dozens of tournament competitions in forms, weapons and sparring. He won a gold medal in Tai Chi competition at the 1990 AAU Kung-Fu National Championships, where he also won a silver medal for Xingyi forms and a bronze for Bagua forms. His students have also won many tournament competitions. Ken's instructional DVDs have sold thousands of copies to martial artists worldwide, and this website has received praise from members all over the world. Q - Who joins this site? Students join if they live in areas of the world without good local internal arts teachers. Many students join to supplement what they are learning with other teachers. The information on this site is often deeper than what they are receiving in class and it helps them to stand out from the pack. Teachers join this site to deepen their own insights, and gain new ideas for their teaching and their arts. Some people join who studied martial arts when they were younger and want to brush up on their skills and go deeper without joining a school. Q - What styles does Ken teach? Ken teaches Chen style Taijiquan, the original style of "Tai Chi." There is also a small number of Yang style videos on the site teaching the Yang 24 form. Ken teaches Cheng style Baguazhang and primarily Shanxi style Xingyiquan. Q - How do I address Ken? Do I call him Sifu or Shirfu or what? Call him Ken. Everyone in his classes is called by their first name, including him. Q - What do you mean by "no mystical mumbo jumbo?" Ken is a college-educated 21st Century man who believes critical thinking skills are important. Many fraudulent claims relating to the internal arts have been made over the years about "cultivating qi" and "no-touch knockdowns" and "healing auras" and other pseudo-scientific and medical claims that simply do not stand up to independent testing. One silly claim is made by Xingyi instructors, who say if you practice fist postures wrong you will damage the internal organs that are linked to that fist posture. There is absolutely no medical evidence to support that claim, but teachers continue to repeat it because they heard another teacher make the claim once upon a time. Other teachers say that if you do qigong the wrong way, you can suffer organ damage or emotional damage. That is simply not true. Qigong is based on breathing and calming the mind. You cannot damage your organs by breathing and meditating. If you have a bad emotional reaction while doing qigong, you already have a problem and you need a counselor or a doctor. Ken believes that the internal arts are based on physical skills, not metaphysical, and if you learn the correct body mechanics and other internal concepts, you will not only do high-quality Taiji, Xingyi and Bagua, but you will also have powerful martial skill. This is what Ken teaches. Q - Why is the site called "Internal Fighting Arts?" Why use the word "fighting" in the title? I don't really want to fight. Ken wanted to distinguish his instruction from what you normally get at an internal arts class at a local fitness center or the YMCA, where many classes are devoted to the concept of "cultivating qi" and call themselves "soft" arts. Most instructors teach the arts as "moving meditation." Ken says there is nothing "soft" about Xingyi, Taiji and Bagua. They are martial arts. Their first and foremost purpose is to break an opponent and put them on the ground. You can practice these arts without focusing on the self-defense aspects, but Ken believes if you do, you are not learning the complete art. Any study of the internal arts must include some philosophy, some qigong, form work and high-quality internal movement, but also an emphasis on the martial aspects of each movement. If you study with Ken, you learn the complete arts. If you choose to do Tai Chi as moving meditation, you are free to do that. You will still learn higher quality Tai Chi, with better body mechanics, than you would learn at most classes taught in the United States and around the world. 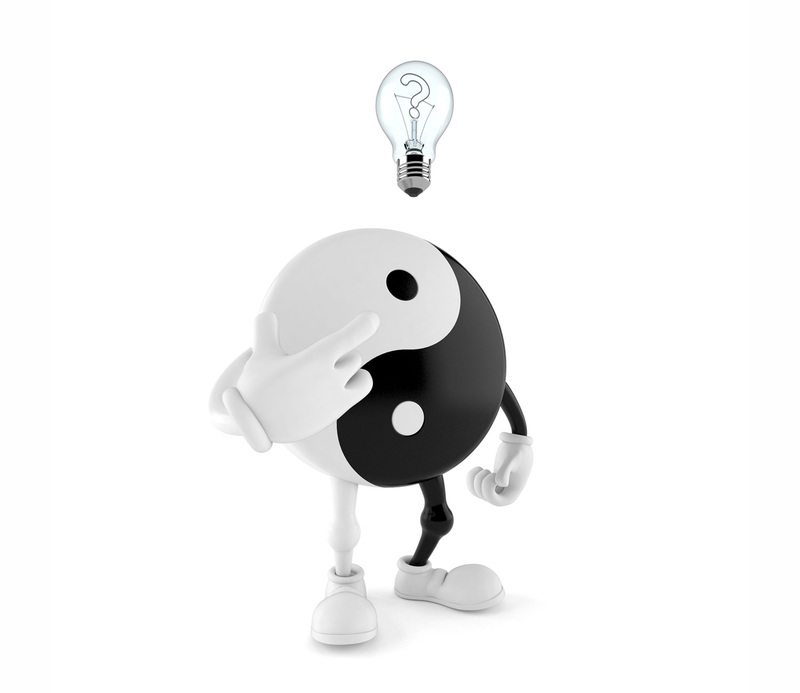 Q - What is the difference between Xingyi, Taiji and Bagua? Xingyi is the more "aggressive" of the three arts. It's movements and concepts are not as subtle as Taiji and Bagua. You can perform Xingyi in front of a panel of black belt judges from other arts such as karate and TKD and they will basically understand what you are doing. It is harder for them to understand Taiji and Bagua. Xingyi is like a bowling ball driving through pins. The goal if Xingyi is to move forward and drive the opponent off his ground. Taiji is like a beach ball that you jump on in a swimming pool. When you jump on the ball, it gives a bit, sinking into the water, but it maintains its structural integrity. Meanwhile, the pressure beneath the ball builds, and at a certain point, it bounces back and spirals you into the water. Bagua is like a spinning wire ball. You punch or kick into the wire ball and you get caught, then spun out in random directions. Taiji and Bagua share some similar goals; unbalancing and uprooting your opponent, controlling their center, then leaving them broken on the ground. Q - But I thought Tai Chi was moving meditation? Ken believes you can slow the movements down of any activity and do it as moving meditation. You could take the movements from baseball players, slow them way down, and have a meditation exercise that would involve stretching and moving, and it would probably be as effective as Taiji. And it you did it fast and with power, it would be baseball, a great sport. If you do Taiji only as moving meditation, you are doing an incomplete art. Through this website, Ken teaches the complete art, then you can decide how you want to practice it. Q - Can I study just one particular art? Can I choose Xingyi, or Taiji, or Bagua and not do the others? The beauty of this website is that all material is available to you, and you are free to study only the topics you want, when you want to study. It is true, however, that if you study the videos of all the arts, you might discover that you like another one better, or you will gain insights that will help deepen your skill in the art of your choice. Q - Who were Ken Gullette's teachers? For a complete bio on Ken, go to the "About Ken" page via this link or select the page on the menu bar at the top of this screen. Q - How can Ken be so damn handsome? Oh, please. You just made him blush. Stop that, you silly person. Shouldn't you be practicing? Gosh!